With the request for the skeleton of this border pattern, I am writing these instructions. 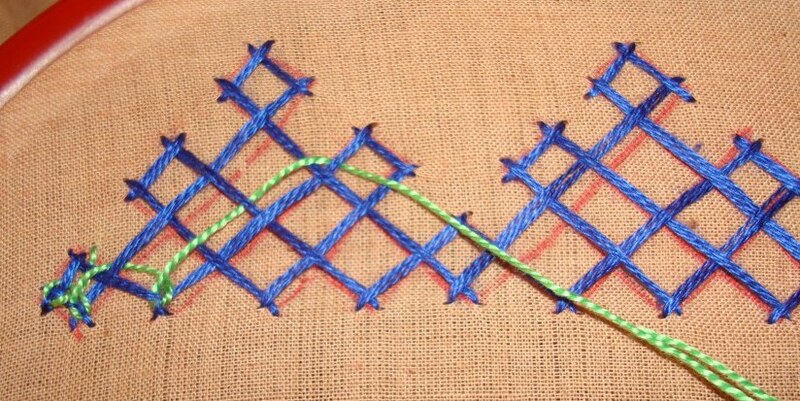 I used cotton skein for the anchor stitch and pearl cotton for interlacing. 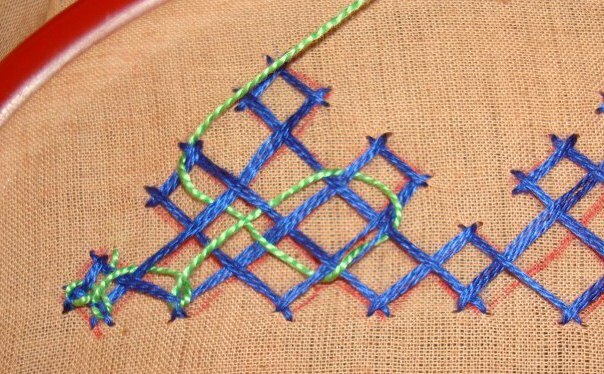 This border pattern is worked continuously, meaning-the anchoring stitch and the interlacing are done without any break. This square has only two stitches , one while going[as seen here] and the next one while coming back. 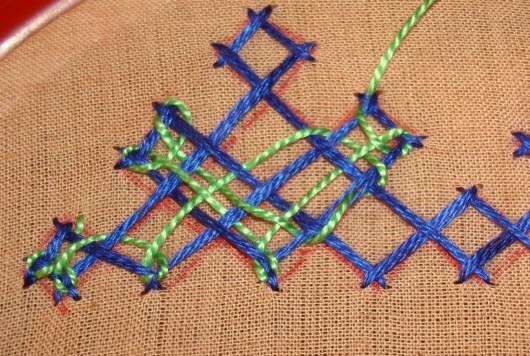 Cross over to the square on the top again , complete it with three stitches , cross over to the square at the end. 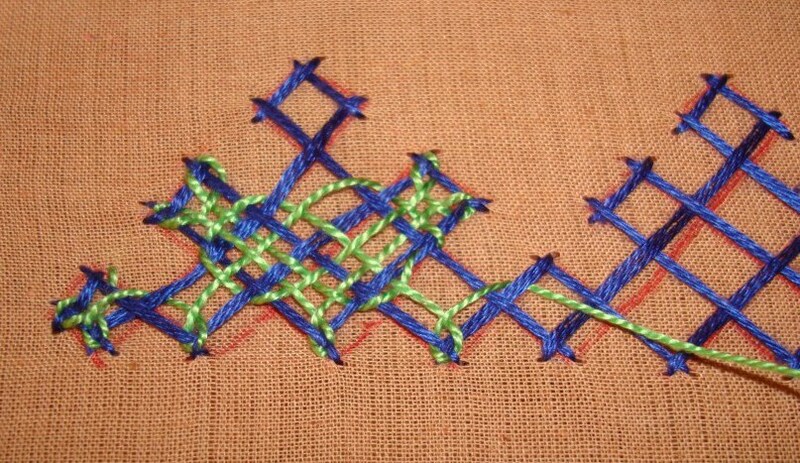 Till now the stitch is the same, the thread goes over the previous thread, and the last thread goes under the first thread. 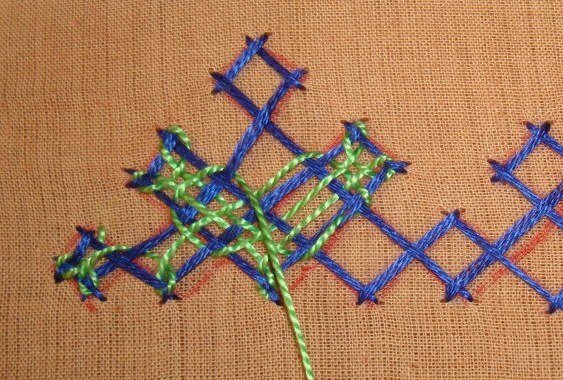 The interlacing is done with a different thread, starts at the same place where the anchoring thread is inserted. This is the continuous thread journey I meant earlier. 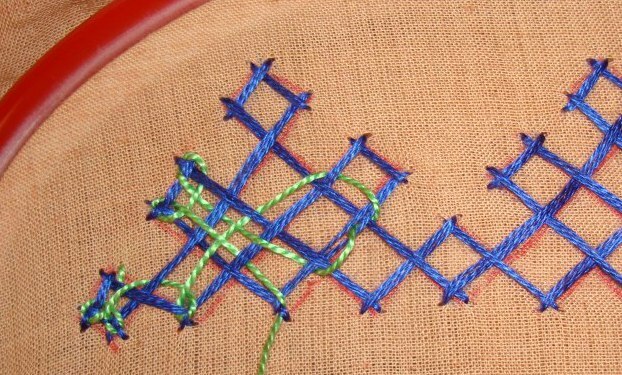 Hope these instructions to stitch this kutch work border was useful. If there are any queries, leave them as comments. I’ll try and answer them. Thanks once again for sharing this kutch border instructions. No words to say. Just a big hug. 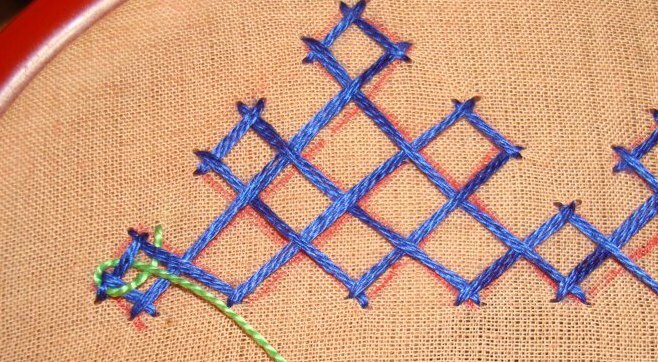 Hi Chitra, your pattern is great .Thankyou for sharing with the lovers of kutch.I hope to do something of your patterns to show you. I too enjoy sharing my love of ketch work. Looking forward to see your work.